One queston. Mario Maker 3DS too ? 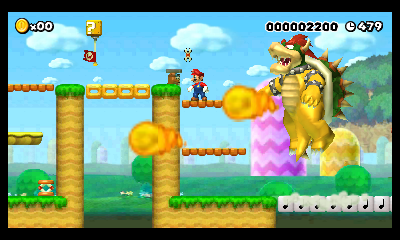 As the title says, it's New Super Mario Bros. 2 in Super Mario Maker 3DS. Release: I hope in the next days. I could port all these themes to 3ds. Posted on 05-22-17, 09:55 pm in wiiu Hack Navigation! The 3D-Mode works great, but i don't need that. Use Yata+ to create bcstms. You can use .wavs as input, you can loop and get the bcstm. Posted on 05-28-17, 12:58 am in What are your greatest life achievements? I already made a 3DS Version, but I made the tiles myself. I'll post a thread in the next days. SMBNext: Halloween Special DX & SMBNext: Demo are out now! The downloads and guide is down below. 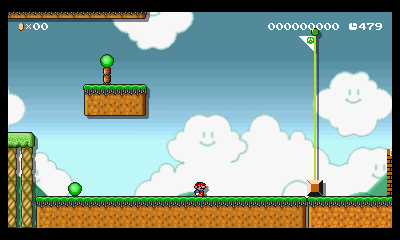 Super Mario Bros. Next is a non-profit, fan created modification for New Super Mario Bros. 2. We aim for quality, and wish to release a game that will be as enjoyable as any other NSMB game, if not better. This project is in active development, and the team is hard at work producing new content for the community. This thread will be actively updated as development progresses. to delete the Luma directory for your NSMB2 TitleID before proceeding. 1. If it isn't already, set your 3DS up with Luma3DS by following the 3DS hacking guide here. 2. Enable game patching by holding SELECT on 3DS boot, ticking the "Game patching" box, and pressing START. 5. 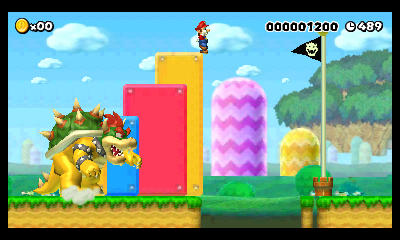 Extract the downloaded mod, and copy the "romfs" folder to SD:/luma/titles/<Your NSMB2 TitleID>/. 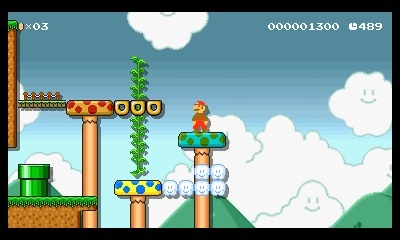 Replace <Your NSMB2 TItleID> with the one you picked from above. 6. 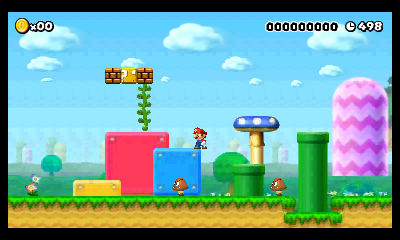 Turn on your 3DS, with the SD Card inserted, and open up your version of NSMB2. NOTE: The selected version of SMBNext will persist until you remove or rename the "romfs" folder. just chill out with the devs, you can join our Discord server linked below. and is in no way related to, or endorsed by, Nintendo. Nintendo reserves all rights to the Super Mario franchise, as well as any of its subsidiaries and properties. Posted on 06-06-17, 06:50 pm in q&a Ask your SMM hacking questions here. 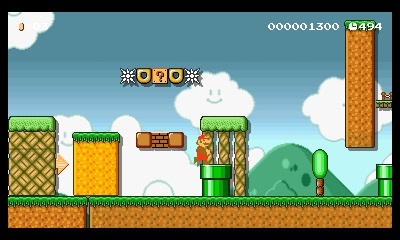 I'm making the SMB SNES Style in Super Mario Maker 3DS. I saw your Wii u version. In the wii u version what is the size of one tile ? 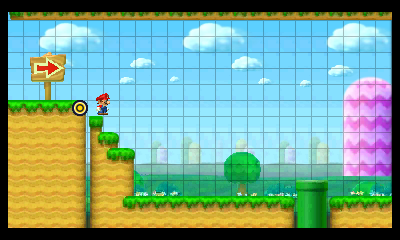 On the 3DS one tile is 16x16 big. I can make a logo too, if someone wants. Actually it's easy. You create a brstm, like everytime. Put it in a hex editor and rename the end of the file from ".brstm" to ".er". Then it should work. Posted on 06-08-17, 09:45 am in q&a Ask your SMM hacking questions here. First of all, this is a tutorial for the 3DS Version. 1. Get your sprite. It's located in "romfs/Model. It's a .szs file. 2. Open the file in Ohana3ds rebirth and export the .bch. 3 Create a new folder (I did it on my desktop). 4. Start ohana3ds (not rebirth) and open the .bch file. 5. export all the textures into the new folder you created. 6 Edit them. Every image is a frame of the animation. 7. If you are finished, import the new images into the opened .bch in ohana3ds and save. 8. Download 3DS SZS Packer 1.1. 10. The filename has to be the same as that one you replace. 11. "SZS save loc" is the output location. I selected my desktop. 12. "SZS source folder" is the folder, that contains the edited .bch. 13.Press "Pack SZS" and it should be compressed as .szs. 14 Copy it into "romfs/Model" and overwrite the original. It should work. I edited the SMB1 mario sprite. Page rendered in 0.252 seconds (with 1.497 MB of RAM).